Data Center Solutions, San Francisco Bay Area for more than 35 years. Converged infrastructure unifies server, storage, networking, and virtualization into an integrated solution that is managed as a whole. Complexity, management effort, and maintenance costs are reduced while adding flexibility and scalability. 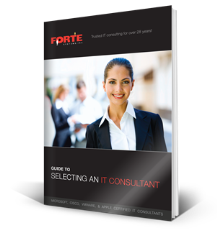 Once deployed, all resources are managed from a common interface via orchestration software provided by vendors. For example, the FlexPod solution combines Cisco UCS computing, Cisco Nexus switching, and NetApp storage with unified management and optional unified support. Since 2010, FlexPod has been adopted by more than 2,400 companies. It is one example of multi-vendor solution with integrated management and support. Migrating from physical servers to virtual machines greatly on far fewer physical servers means lower power and cooling costs. Fewer physical servers translates to smaller number of racks and further cost savings if you are in a co-location facility. Quickly and easily deploy test environments even through a self-service portal. Use templates to deploy new servers within minutes avoiding time consuming OS loading and patching. Float your servers on any manufacturer’s host hardware enhancing flexibility and with broader disaster recovery options. Dynamically move running virtual servers from one host to another. Perform host maintenance during normal business hours with no impact on services. Hardware abstraction, fewer physical hosts, and automated failover reduce the cost of implementing a holistic disaster recovery plan. Break the one application to one physical server by aggregating dedicated physical application servers as virtual servers on a reduced number of physical hosts. 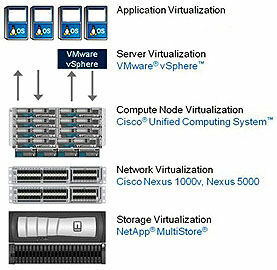 Extend the life of legacy applications by virtualizing and encapsulating these old systems and take advantage of the high availability features of a virtualized environment. By breaking the bonds to physical hardware, virtual servers become simply workloads that can be migrated to private or public clouds. Shared storage enables the advanced features of a virtualized environment permitting the live migration of virtual servers from one physical host to another. Storage networks also leverage high availability controllers and disk subsystems to the benefit of all hosts in the data center and provide advanced features like snapshots and block level replication for data protection and disaster recovery. File services can be provided directly by many storage systems avoiding the need for a file server host. An ideal storage system must support the required protocols, meet performance requirements, and provide the flexibility to cost effectively meet increasing storage demands. We have over 28 years of experience meeting the challenges of Small Businesses and Medium Enterprises. Our data center engineers have virtualized hundreds of servers and deployed converged infrastructures for companies throughout the San Francisco Bay Area. Call 510-525-3000 or email us to speak with an experienced data center engineer!